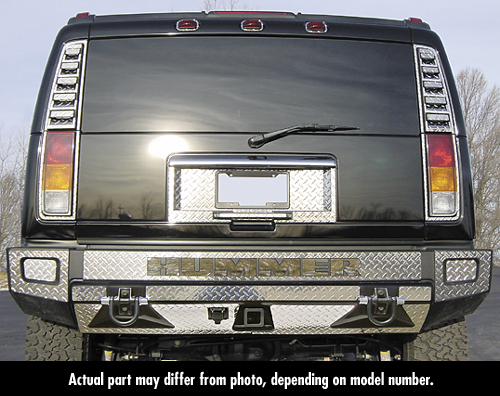 Cover that rear bumper with the shine of stainless steel. Whether you choose diamond-plate or mirror finish, this is a great way to add style to the H2. Letter Inserts sold separately.